We first heard about ZEE Goalkeeper Academy when their founder, Rick, got in touch with us about a potential partnership opportunity. Rick, who incidentally only grew up 30 miles from our HQ in North Wales, has been buying Net World Sports products for years. 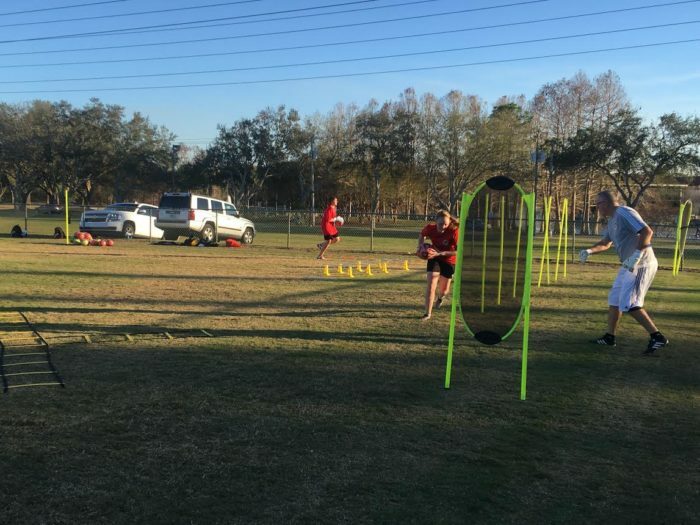 From FORZA Training Marker Cones and our Spring Loaded Slalom Training Poles right to through to FORZA Soccer Free Kick Mannequins and our RapidFire Soccer Rebound Nets, so it only made sense to take the relationship further by supporting their business and ours with an official partnership. The ZEE Goalkeeper Academy was founded in 2016, after Rick left his local soccer club as Director of Goalkeeping to create a separate identity specifically for goalkeepers. 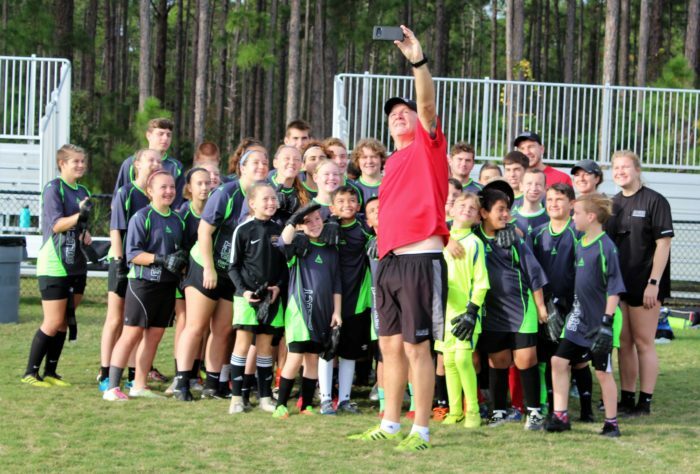 ZEE Goalkeeper Academy works with 55 registered goalkeepers in Port Orange, Florida, as well as 47 further afield with coaches in Miami, Mississippi, Kentucky and West Virginia. “In 2016 I was looking to buy some high visibility slalom poles and when searching on Google Images I noticed that Manchester United were using the specific slalom poles that I wanted,” explains founder, Rick Zucchi. “By taking a closer look I noticed in one of their videos that the print on the slalom poles read Net World Sports. 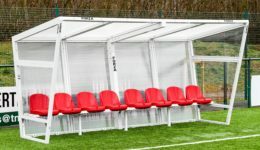 I said to myself, ‘if they’re good enough for Manchester United, then they should be good for us!’ I visited the website, bought 36 straight away and they’re still going strong today despite taking a serious amount of power shots! Net World Sports’ and ZEE Goalkeeper Academy’s partnership only kicked off at the start of 2019 and it’s already off to a winning start. 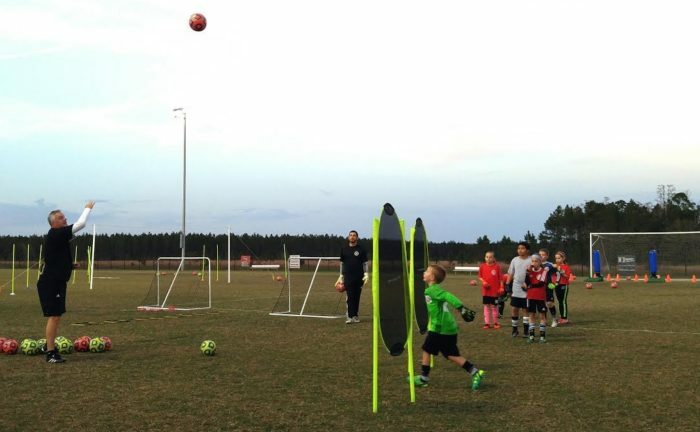 Not only is Rick coming on board as one of our fantastic Brand Ambassadors, taking our current total up to eight, we have also agreed to support their local youth soccer team in Deltona Florida through the provision of our popular FORZA Training Soccer Balls and FORZA Pro Soccer Training Pinnies. Over the coming months, Rick will be reviewing a whole host of our products as well as working in collaboration with us to produce even more fantastic FORZA Training Guides specifically aimed at goalkeepers of all levels to enhance skills and techniques… watch this space! If you’re interested in teaming up with us and having Net World Sports as your Official Equipment Partner, get in touch with us today. Call our friendly team on 866-861-9095 or email marketing@networldsports.com.